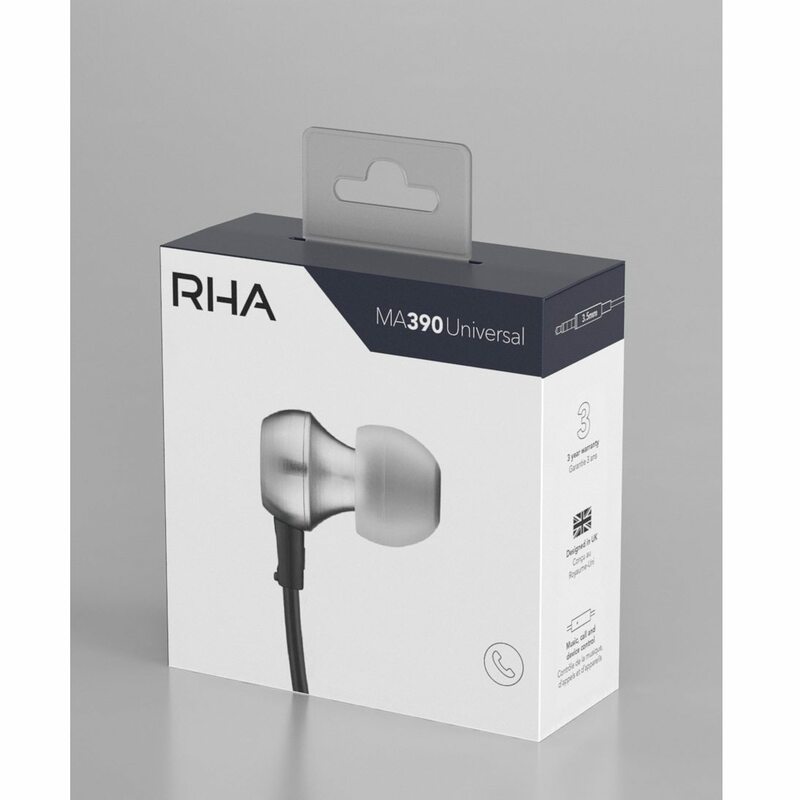 RHA MA390U. 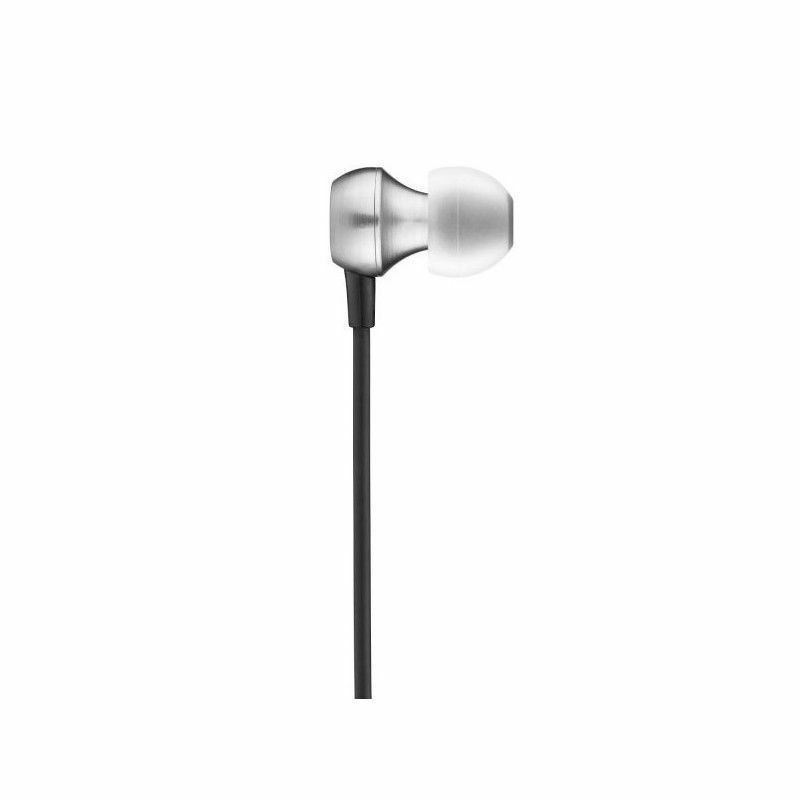 Noise isolating in-ear headphone with remote and mic. 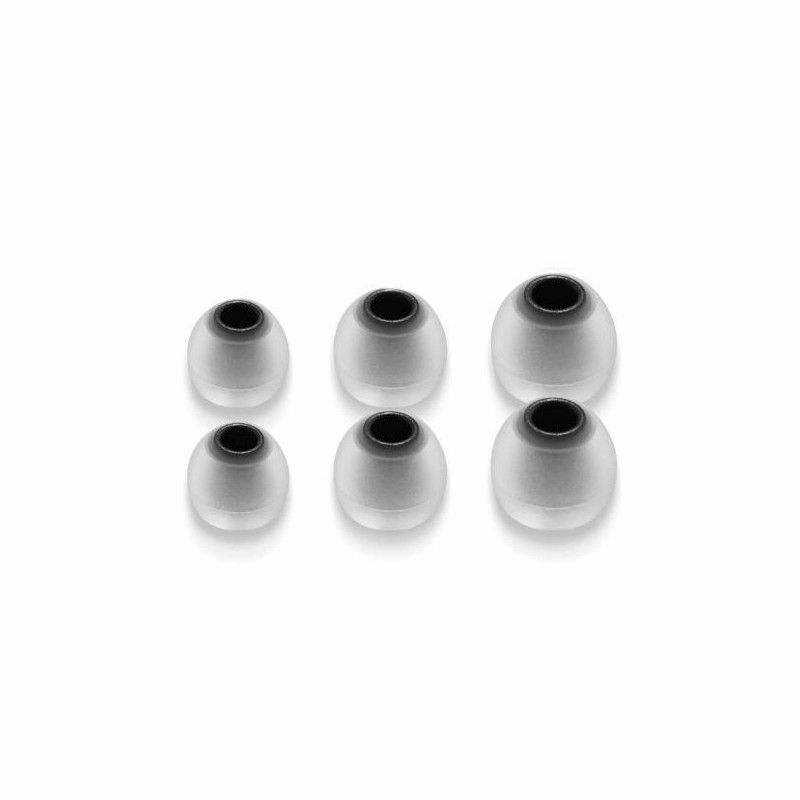 RHA MA390U. 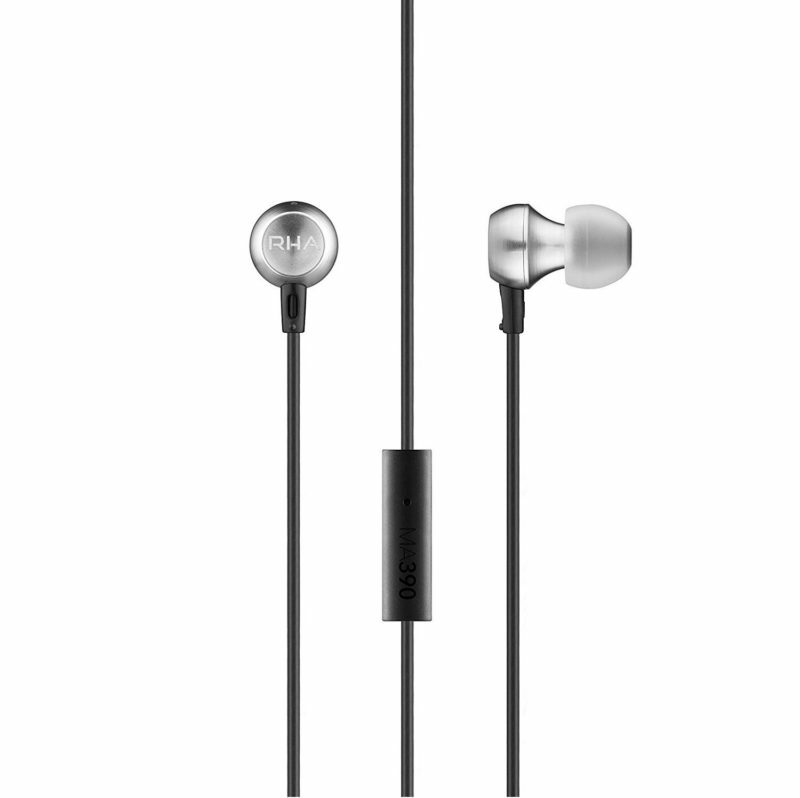 Noise isolating in-ear headphone with universal remote and microphone. Hear more from your music with noise isolating design, powerful audio, unrivalled build quality and lasting comfort from the RHA MA390 Universal. 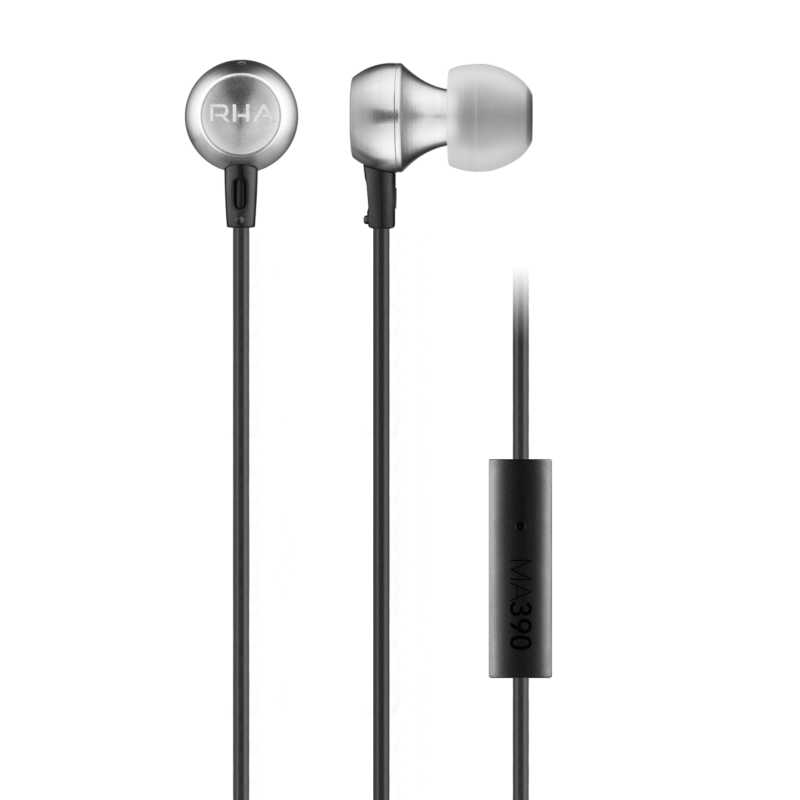 With the brand new entry-level RHA MA390U in-ear dynamic headphone hear new levels of detail and energy from your favourite tracks. Built around a custom-engineered RHA model 130.8 driver, the RHA MA390U earphone delivers immersive, powerful sound with unrivalled clarity; enjoy your music as it was meant to be heard.